hey, after fast driving, tires can be hot! Oh no! There's a tire in the building! RUN! Somebody call the Tire department! We've got a raging tire on our hands! Soviet Tire Missile has arrived. must be "fire"stone tires. lol. thought someone wouldve said that one by now. It's not funny. 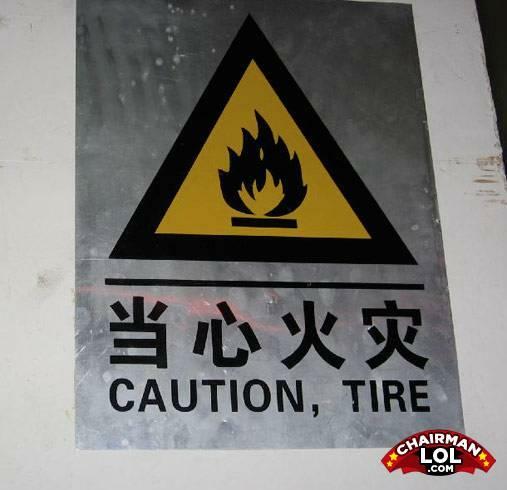 Tires could be in danger because they can't read this sign. Why did the sixteen year old girl get an abortion?